Yeh, I know, Thanksgiving is still a couple of days away, and now I’m giving you a leftover recipe? Forewarned is forearmed, I always say. The cool thing about this casserole, based on a recipe from the nice folk at Taste of Home, is that you can make it from your feast day leftovers, or buy deli turkey and make fresh stuffing and mashed potatoes, or, as I did, a bit of one and a bit of the other – I started with leftover Buttermilk Brined Turkey Breast, and made the rest fresh. Heat your oven to 350º and melt a couple of tablespoons of butter in a large skillet over medium high heat. 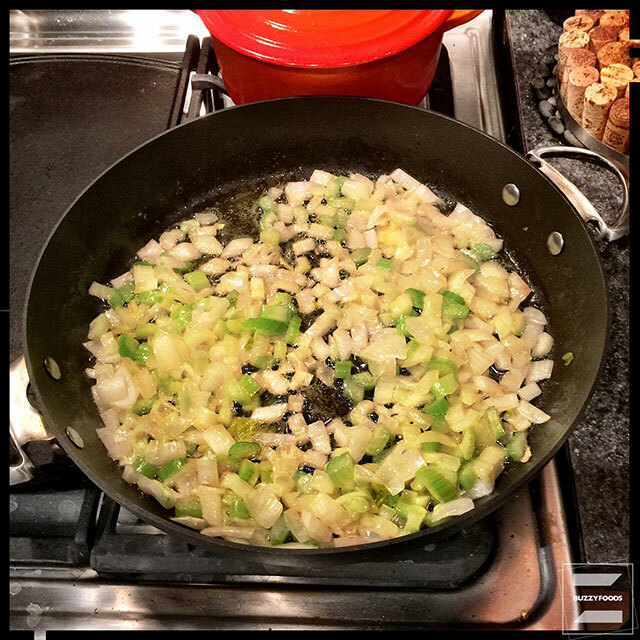 Add the onion and celery and cook, stirring often, until tender, about eight minutes. 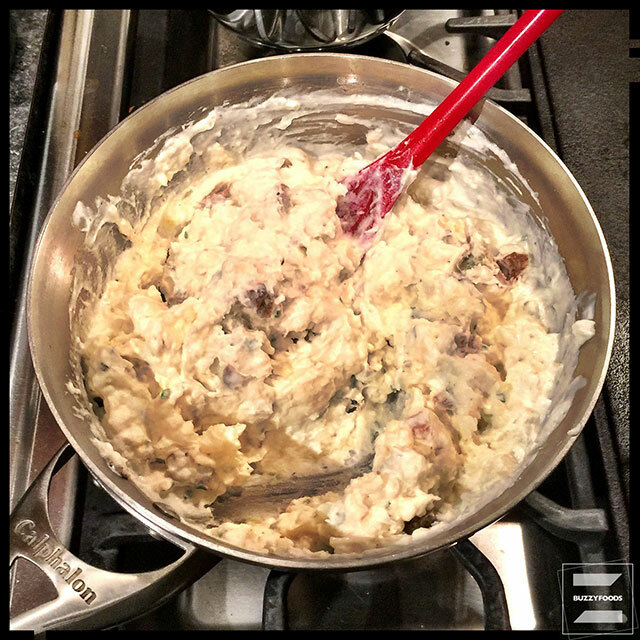 Combine with the stuffing in a large bowl, then add the seasonings, another tablespoon or so of butter, and stir to mix. 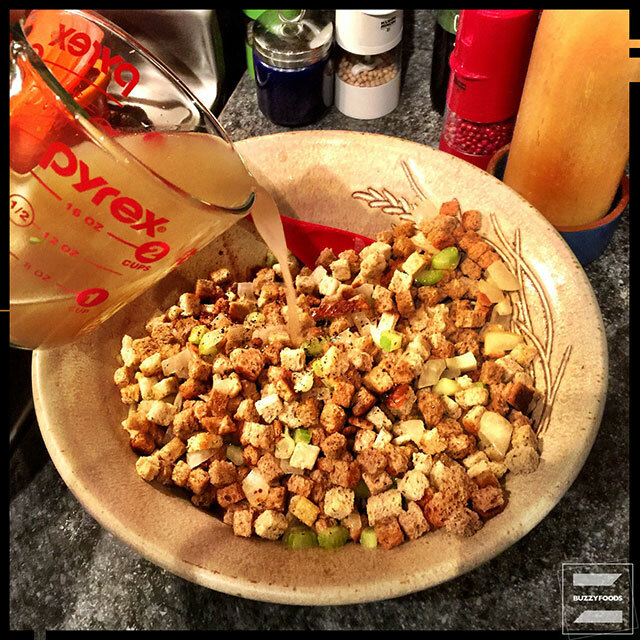 Pour the hot stock over the stuffing in the bowl and stir until it is nicely moistened. 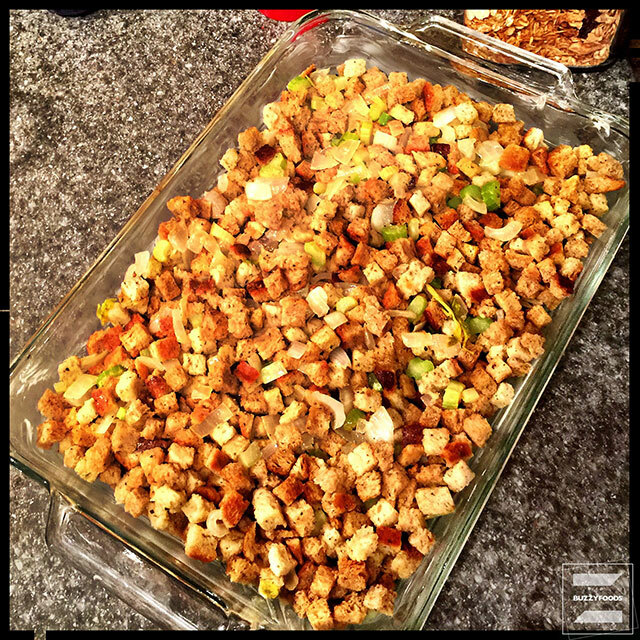 Arrange the stuffing in an even layer on the bottom of a well buttered 13×9 inch baking dish. Cover the potatoes with cold water in a pan and bring to a boil over high heat. Reduce the heat, cover, and simmer for ten to 15 minutes, until the potatoes are tender. Drain and return the potatoes to the pot along with the remaining ingredients. Mash until smooth and nicely blended, then set aside. Add the cubed cooked turkey to the large bowl, and stir in the soup, sour cream, Sherry Peppers Sauce, and Cajun Power (or hot sauce) until blended. Pour over the stuffing in the casserole. 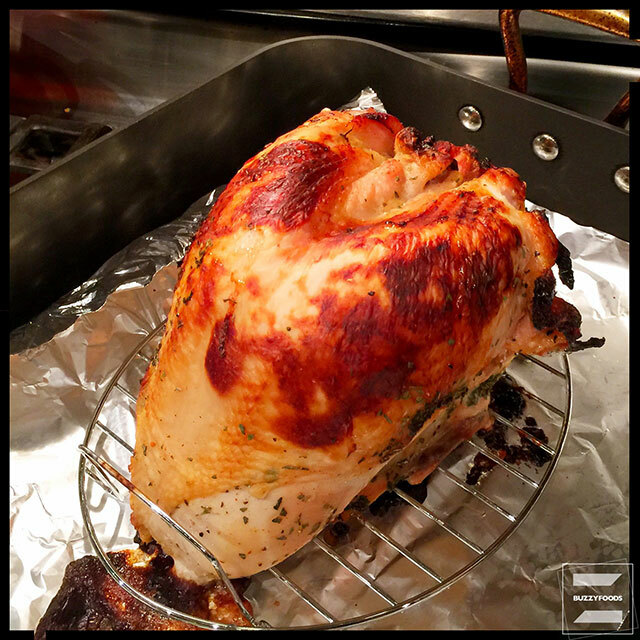 Spread the mashed potatoes evenly over the turkey mixture, then sprinkle with the shredded cheese. 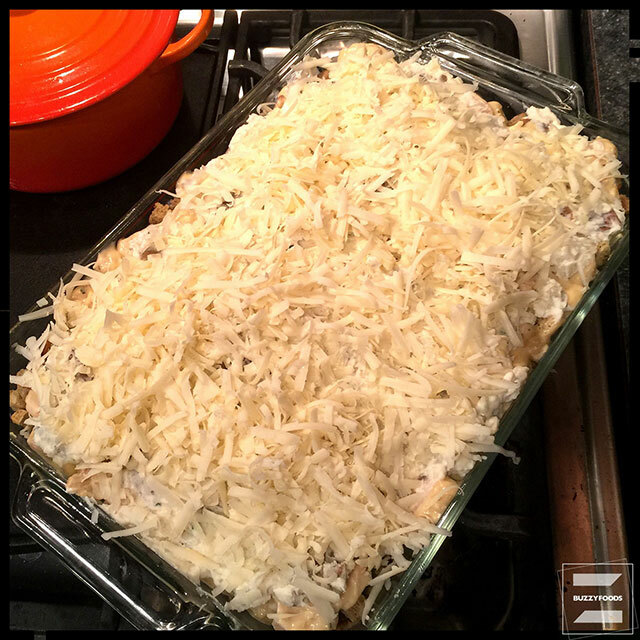 Bake, uncovered, for 30 minutes, until the cheese is melted and the casserole is heated through. 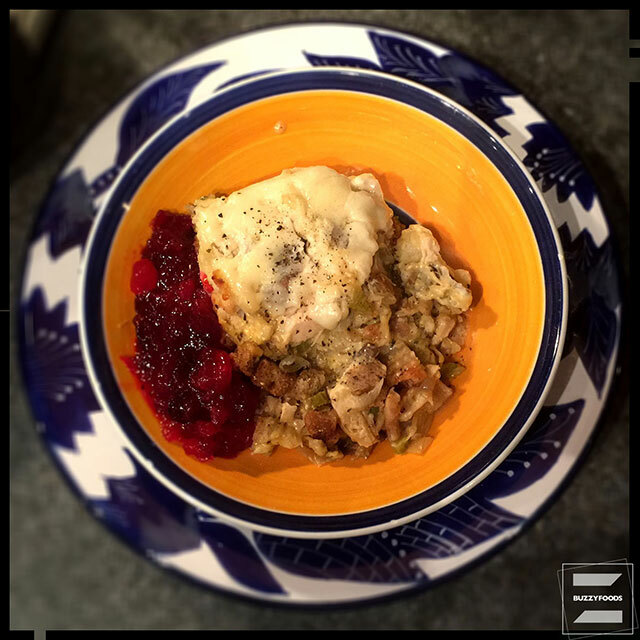 Serve with cranberry sauce on the side for the full Thanksgiving experience. This one is nice. Note: as an option, swap out Swiss cheese or Gruyère for the Cheddar. If this all sounds a bit too much like Thanksgiving dinner for you so soon after Thursday; this Swiss Turkey Casserole is really nice, or, for something completely different, check out these Turkey Tostadas with Chipotle Cranberries. Options are a good thing when faced with leftover turkey. 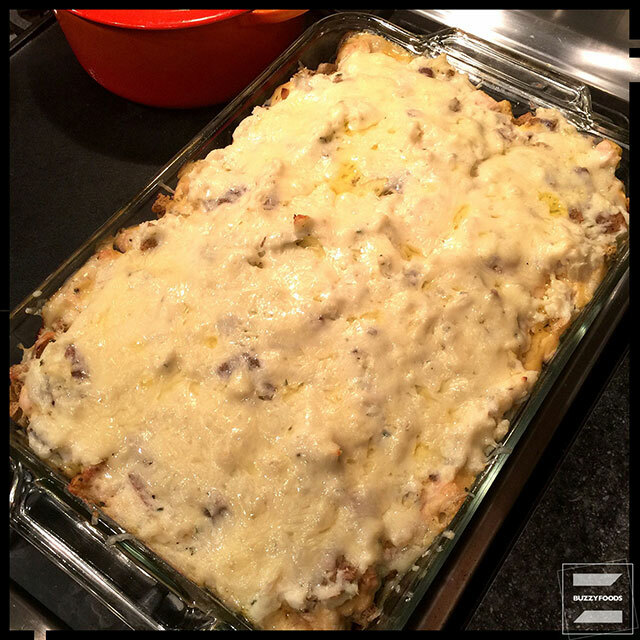 This entry was posted in Chicken/Turkey/Duck and tagged Cheese, Mashed Potatoes, Stuffing, Thanksgiving Casserole, Thanksgiving Leftovers, turkey. Bookmark the permalink.